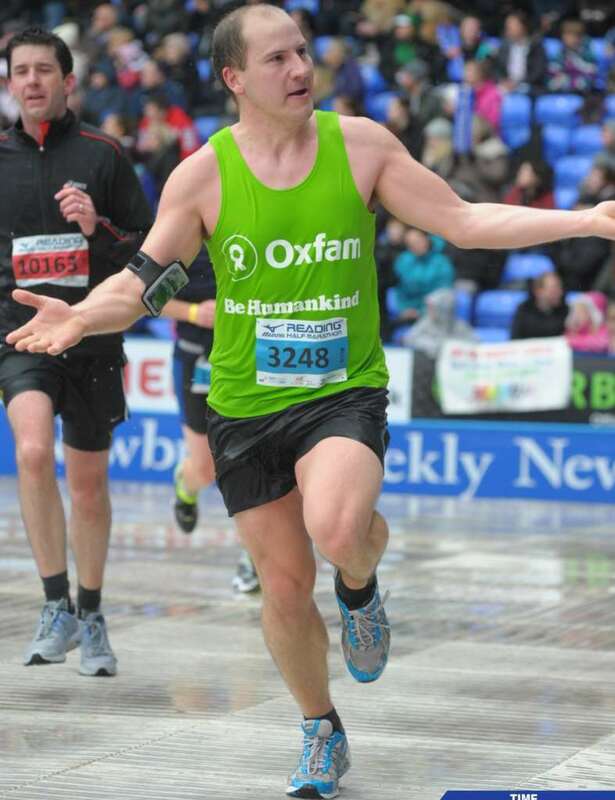 Partner at the firm James Gesner entered the Mizuno Reading Half Marathon to raise money for Oxfam on Sunday March 17th. This was perfect preparation and a great event with over 16,000 runners taking to the streets of Reading to run the 13.1 mile trip which starts and finishes at the Madejski Stadium in Green Park, Home of Reading Football Club. The weather was terrible with temperatures just above freezing and snow falling. During the race the rain came down in heavy spells but this didn’t perturb the thousands of spectators who lined the streets to cheer on the runners. James crossed the line in a time of 1hr 47 minutes which was a new Personal Best. James has been training five times a week since January to prepare for the London marathon which is on April 21st. If you would like to sponsor James and support one of the two charities he is running for then please do so at http://uk.virginmoneygiving.com/JamesGesner.